D&D Specialty Cars is owned by Dale and Stacy Johns and is located in Van Buren, Arkansas. For over 30 years, they have designed and built award winning cars for numerous people including Billy Gibbons of the band ZZ Top. D&D Specialty Cars strives to build top quality cars with perfection and cutting edge products to stay on top of the custom rod world at all times and now they have the website to showcase that work. The D&D Specialty Cars custom one-page side-scrolling website keeps the focus on the beautiful custom cars by separating each step of the custom build with fluid and simple navigation. 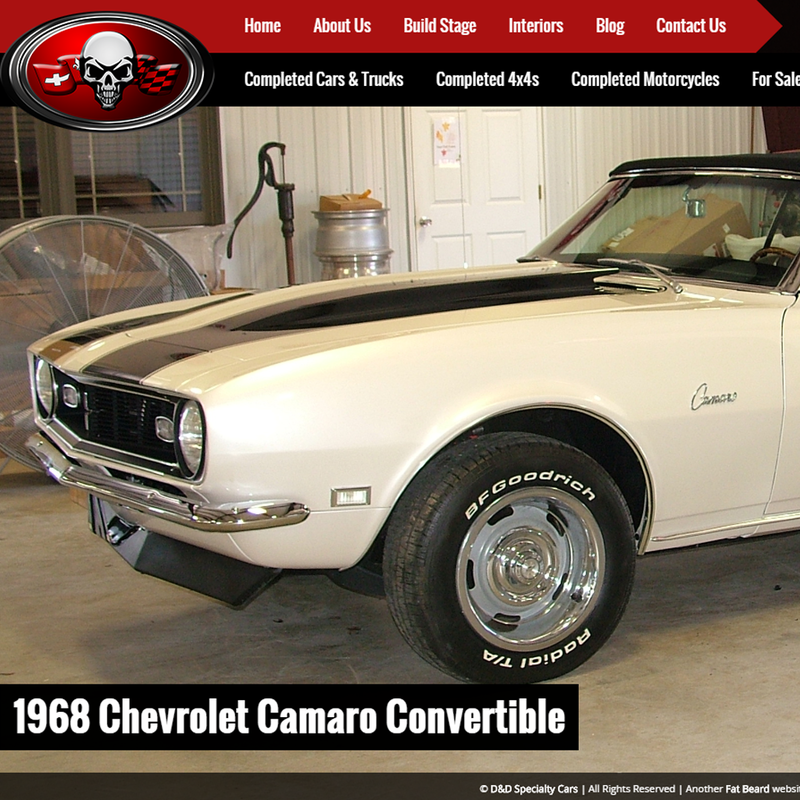 The D&D Specialty Cars Website from Fat Beard is a great example of how we can create a site that shows off your professional custom work.